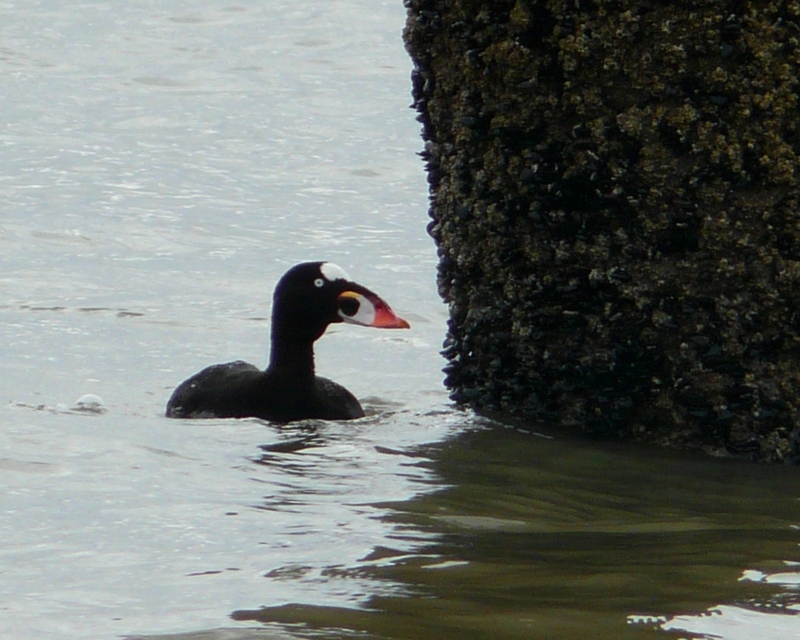 Surf Scoters are common winter residents along the coast. 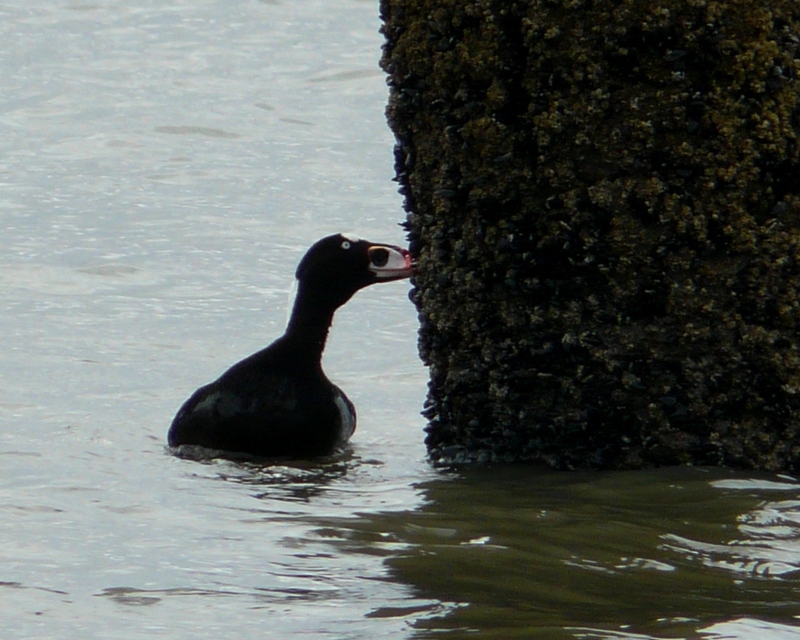 They eat mollusks, usually caught by diving. 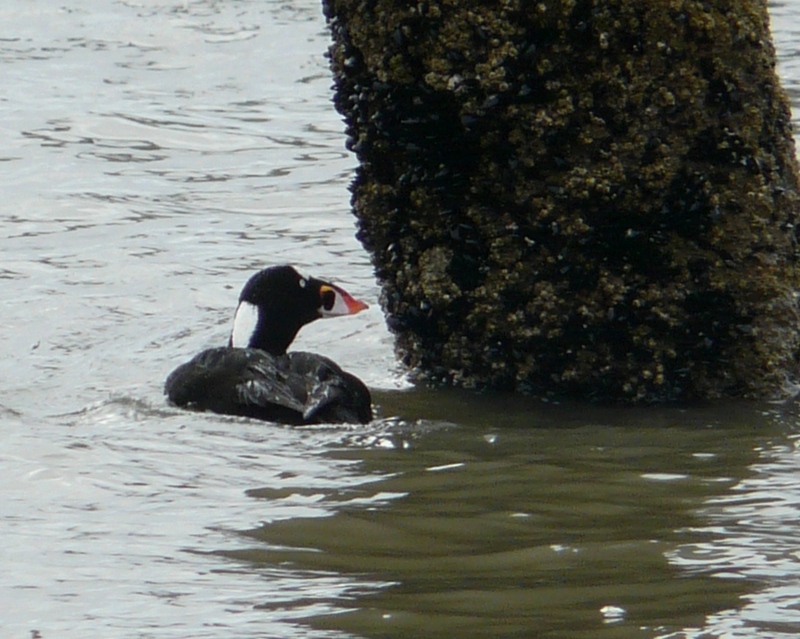 This individual was taking advantage of the low tide to find mollusks on an exposed piling. This entry was posted in species profile. Bookmark the permalink. Nice photos of a hard bird to photograph! I need to see one of those in Idaho. We get them occasionally, but they continue to elude me. cool bird with this funny beak. Thanks for sharing.